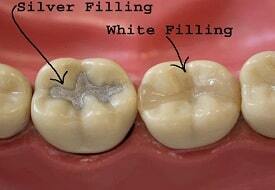 By closing off spaces where bacteria can enter, a filling can help prevent further decay. Commonly used materials used for fillings include high quality type 2/9 cements, a composite resin (tooth-colour fillings), and an amalgam (an alloy of mercury, silver, copper, tin and sometimes zinc). Do you have food lodgement in teeth after eating food? Do you see brownish blackish spots on your teeth? If yes see your Zahn dentist immediately! You might be a candidate for a Dental filling. This simple procedure in time will prevent lengthy expensive treatments later.